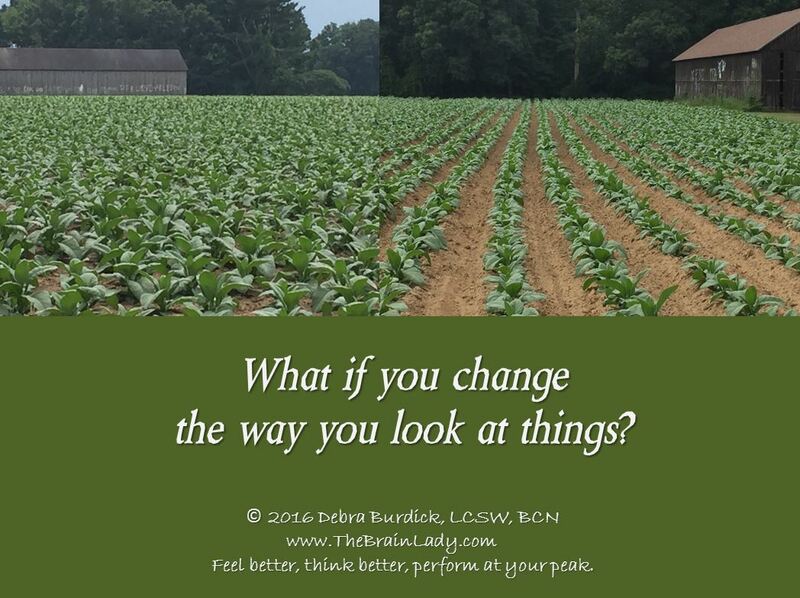 Share the post "What If You Change the Way You Look at Things?" How do you see the world? Are you a glass half empty of glass half full person? Do you have a choice about how you look at things? In the left-hand photo of this field the plants look random and chaotic. But in the second photo of the same plants they look orderly and organized. When I saw this field of plants l was immediately reminded that our world can look completely different just by changing our perspective on how we look at it. I am always amazed at how two people can look at the same thing and see completely different things. Maybe it’s our general disposition. Or maybe it’s has to do with how we choose to see things. 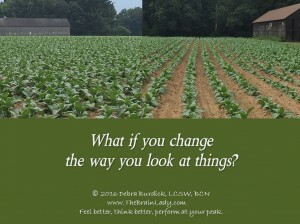 Wayne Dyer frequently discussed the statement ‘If you change the way you look at things, the things you look at change’. He stated that in order to change things in our life we need to change the way we look at things. Albert Einstein discussed the need to decide if we want to live in a friendly universe or a hostile universe. If you choose to see the world as hostile, everything will seem hostile to you. If you choose to see the world as a friendly place, you will experience things this way. The same is true for seeing things negatively versus positively. It’s almost as if you are wearing glasses that filter out certain things and only allow what you expect to see to come through the lens. If you are a parent and your child is misbehaving, you always have a choice on how to respond. One parent may get furious and yell at their child. This parent chooses to see the child as an annoyance or an embarrassment and maybe as a bad person. Another parent may take the child by the hand and remove them from the situation. 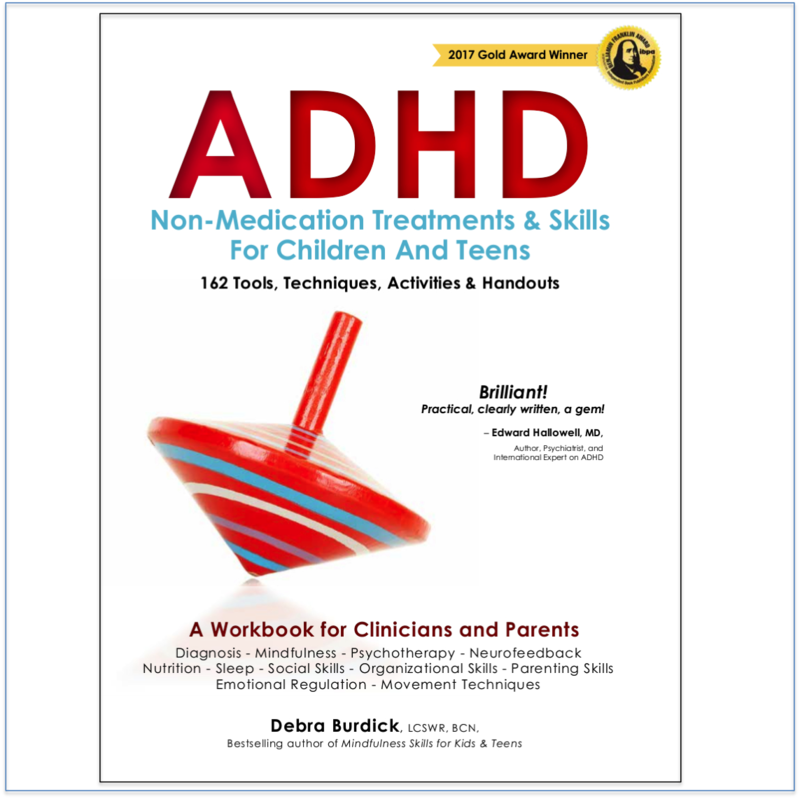 This parent chooses to see that the child is still learning how to behave appropriately and needs their gentle but firm guidance. Another parent may address the behavior by joking with the child to get them to shift their behavior. 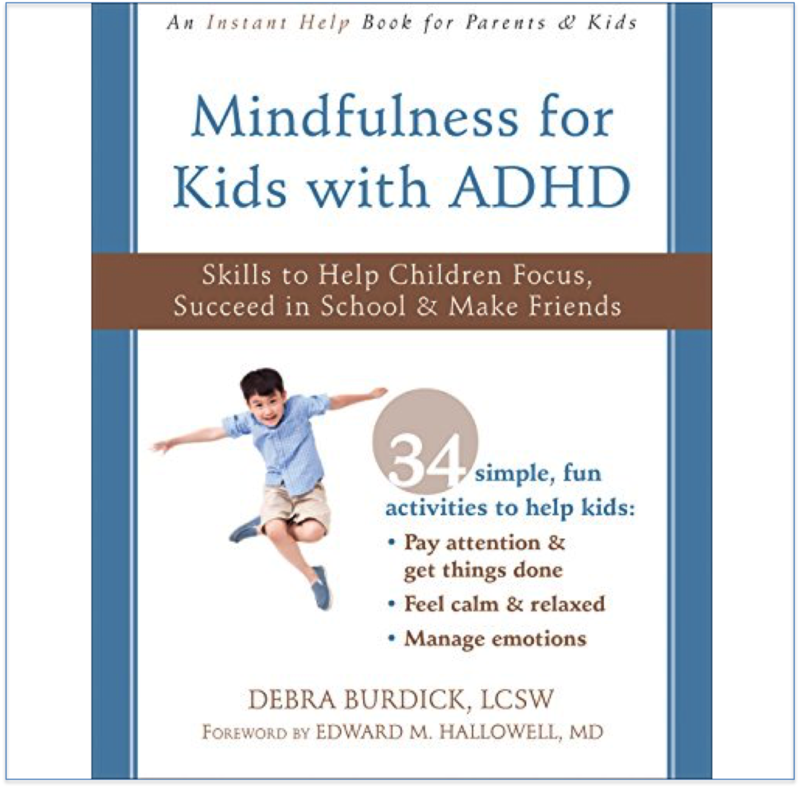 This parent chooses to see the child as having a tough moment and needing to distract them. The child’s behavior is the same. How the parent chooses to see the behavior is different. And this choice dictates how the parent will respond to the child. And this response will affect how the child learns about the world. I talked with the mother of an 18 year old daughter who suffered severe injuries including a traumatic brain injury in a car accident. This teen was in intensive care for weeks and the doctor told the parents they had done everything they could do and asked for their consent to talk with the organ donor representatives. The mother understood that the doctor was telling her that chances were slim that her daughter would survive. 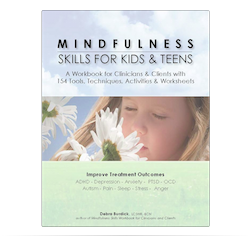 Some parents in this situation might choose to feel devastated, scared, worried, and angry. They might cry inconsolably as they fear the worst for their daughter. And we would all agree that this response would be appropriate. They might call all the family in to say their goodbyes to the child. They might think about the injustice of an 18 year old losing their life because another driver hit the car she was riding in. They might blame this driver. Was she devastated, scared, and worried? Absolutely. But because she chose to respond differently, she and the whole family took action that undoubtedly changed the outcome for her daughter. The family started playing music in the ICU. They gave her daughter reflexology sessions. They talked to her. They had 24/7 contact with her and someone stayed in the hospital every night with her. They maintained a positive expectation that she would get better. And then they did everything possible to help their daughter heal. Four months later, after weeks in the ICU, weeks in a rehabilitation hospital, and more in an assisted living facility her daughter came home. She was able to walk on her own without the walker, the doctors discontinued all medications, and her disposition was sweet and grateful. When I last spoke with the mother, her daughter was helping her sister paint the bedroom. Did she still have a long way to go? Sure. She still had concentration, planning, and short term memory issues and her self-confidence took a hit. And she still had a lot of healing to do. But the doctor said she was way ahead of where he would expect her to be based on her injuries. Did her healing journey change because of how her mother chose to see things? What do you think? How she chose to see the situation prompted her to take action considerably different than if she had simply accepted the doctor’s statement and expected her daughter to die. I’m sure you can find many examples of how this has worked in your own life. It’s enlightening when we see how much things change when we change how we look at them. And how our lives are changed forever by choosing to do so. We always have a choice about how we see things and what we choose to focus on. Sometimes we really need to be mindful about how we are looking at something and find other ways to look at it, especially when we are stuck. 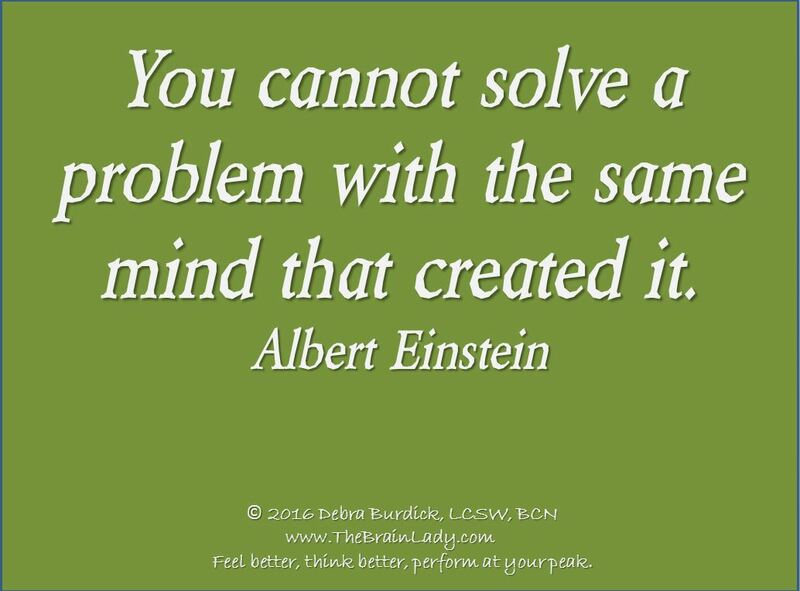 As Albert Einstein said, you cannot solve a problem with the same mind that created it. Practice changing how you look at something, and that something will change. Let me know how this works for you! What a great article. Thanks for sharing this inspirational story. Thanks Ruth. Glad you liked it. It inspired me, that’s for sure.